Dayton is where high tech and old school combine to create a place like no other. Wright-Patterson Air Force Base should be here, we are the Birthplace of Aviation, bringing the proud tradition of flight and military personnel and their families to the Dayton area as well the need for high tech support that the modern United States Air Force requires. If you are PCSing to WPAFB, welcome! Dayton Ohio is also home to many excellent colleges and universities: Wright State University, University of Dayton, Sinclair Community College are just a few institutes of higher learning that add a vibrant eclectic mix to the Dayton area. Dayton Ohio is small enough for you to become instantly connected to the pulse of the city. We have a southern influence that gives us a laid back, relaxed look at life, but with our rich history of inventions, Daytonians are curious, driven, and not satisfied with good enough. From high tech to agriculture, from cool urban condos to sprawling rural farms, the Greater Dayton area embraces it all.  There are plenty of Things To Do In Dayton, give me a call for more information- Teri Lussier, 937.343.1411.